How A Lazy Person Can Invest For A Prosperous Future? "Being lazy is the key to success" says Michael Lewis, an American non-fiction author and a financial journalist. Personally, I don't completely agree with that. Has no control over personal finances. The next time you become lackadaisical about your financial planning, remember you are robbing yourself of the time and opportunities to create wealth and achieve your financial goals. However, despite being a lazy person, you can still have financial success and lead a prosperous life in the future. All you need to do is seek professional help from unbiased and independent advisers who can guide you on planning financial goals and execute a solid investment plan with a sound strategy. Yes, saving enough and investing your hard-earned money wisely in productive investment avenues that counter inflation effectively can lead to a secure financial future and help you attain financial freedom. Investment is a boring and individualistic exercise - and there's no point aping your next-door neighbour or relative; because one man's meat could be other man's poison. If you are a lazy person, consider investing in mutual funds. 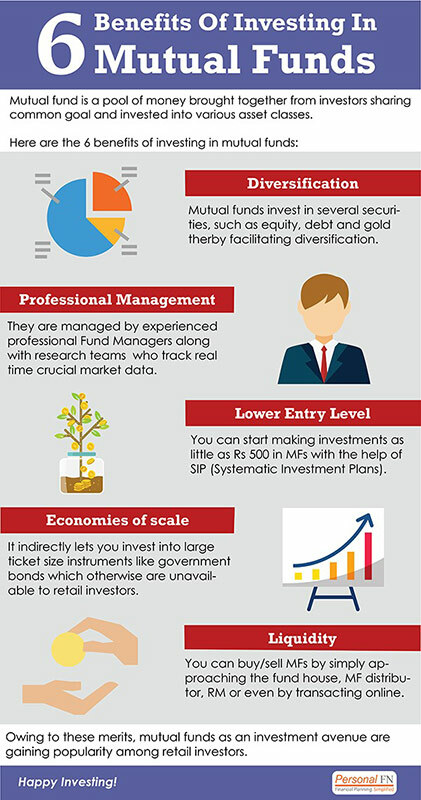 In the long-run, mutual funds could help you in the journey of wealth creation fuelled by the power of compounding. However, selecting winning mutual funds is the key! Not all funds are worth your hard-earned money. And if you are worried about the turbulence of the market (as seen in recent times), don't be; because you have the option to mitigate this risk by investing systematically vide a Systematic Investment Plans (SIPs), a mode of investing in mutual funds. In my view, the current market conditions offer you one of the best investments environment but deploying your hard-earned money with a prudent investment plan and strategy in place is imperative. Going all out and investing only in mid-and small-caps in these uncertain market conditions can prove to be a foolish move. You are likely to lose more than you gain if the markets continue to slide. Likewise, totally skewing your portfolio toward large-caps would possibly mean losing out on the additional return potential, if the market scales up swiftly from here on. You need to strike the correct balance in diversification across investment style as well as calculate the risk-return trade-off. Moreover, invest with a long-term investment horizon in mind. Short-term gains may be hard to come and put your capital at risk. So, what if I tell you that a lazy person can create an all-weather portfolio using a 'core and satellite approach' that could reap rewards as well as provide stability to your investments. But it is not easy - it's a tedious task which could be daunting for anybody. Yes, that's right! And I have a solution for you. You can rely on PersonalFN's mutual fund research expertise to own a ready-made strategic portfolio of best mutual funds. The term 'Core' applies to the more stable, long-term holdings of the portfolio; while the term 'Satellite' applies to the strategic portion that would help raise the overall returns of the portfolio, across market conditions. Our strategy aims to provide you with the best of both worlds, i.e. short-term high-rewarding opportunities and long-term steady-return investing. At PersonalFN, we believe that core holdings should form 60% of your mutual fund portfolio and the rest 40% should consist of satellite holdings. The weightage of each portfolio constituent in both 'Core' and 'Satellite' categories can make a huge difference in the end. What matters the most is the art of astutely structuring the portfolio by assigning weightage to each category of mutual funds and schemes picked for the portfolio. 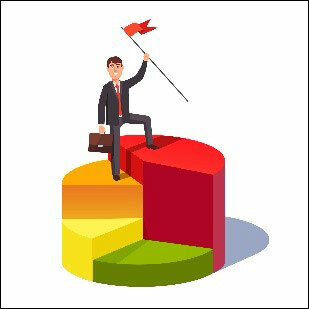 Constructing a portfolio that has a stable core composition of long-term investments, along with the opportunity to support the core by actively making decisions based on extensive research through the satellite approach are the potential benefits of strategic asset allocation. The 'Core and Satellite' investment strategy offers you a higher chance of outperforming the market in the long run. Be a smart investor; own a ready-made strategy portfolio today! Equitymaster requests your view! Post a comment on "How A Lazy Person Can Invest For A Prosperous Future?". Click here!